Our Core Values drive us. These are the core values that each member of our team puts into action every day. Our values have created an environment where each team member has a voice within the organization and each person has the chance to make a difference in what we do and how we do it. NSI’s steady growth is reflected in the innovative technologies it adopts, working closely with Cisco to maintain a spot on the cutting-edge; additionally, NSI continues to expand its professional services offerings, as well as the markets it serves. 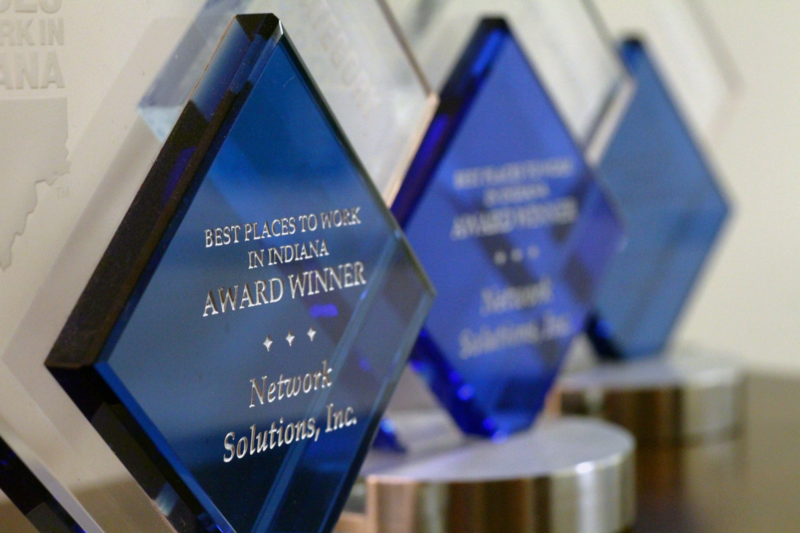 With offices in Granger, IN, Ft. Wayne, IN, Indianapolis, IN, and Chicago, IL, Network Solutions has become a recognized business technology leader in the region. To support our growth, NSI believes strongly in the substantial investments we make every year in the professional development of our team. At NSI, we value family. NSI was started as a family-owned business in 1989, and despite our steady growth, we’re all still NSI family. We work hard, we have fun together, and we will always support the desire of our NSI family to be present for their own families. This means a solid work-life balance is a must, and we strive for it. If our values and culture align with your personal vision, send us a resume. Our legacy spans multiple generations at NSI. Our team includes recent graduates just starting on their path to success, as well as seasoned professionals who have been with us from the beginning. We’d love to talk to you too! 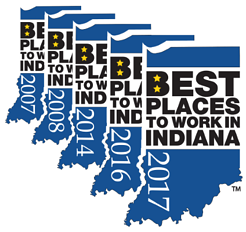 NSI has been awarded by the Indiana State Chamber of Commerce as one of the Best Places to Work in Indiana five times between 2007 and 2017. We welcome innovative people with initiative, who value hard work, a positive, energetic attitude, and growth. We offer competitive compensation and benefits programs, including a flexible work environment. Network Solutions, Inc. is an Equal Opportunity employer.